What do Gen Zers feel about working in the restaurant and food service industry? The National Restaurant Association Educational Foundation and the Center for Generational Kinetics carried out a nationwide research (PDF) to find out. For the $800 billion restaurant and food service industry in the US, understanding what Gen Zers think about working in the business is extremely important. This is because they represent the future of the industry as it continues to evolve with digital technology, automation, and even robotics. Many of these restaurants are small family owned and independent businesses. And in most cases, they will be the first to give employment to this generation. Whether the workers are in it for work experience or a career in the industry, the research offers some valuable insights owners can use. In an emailed interview with Small Business Trends, Rob Gifford, Executive Vice President at The National Restaurant Association Educational Foundation, pointed out why Gen Zers are important to the industry and particularly small restaurant owners. This is particularly important as the way people work in a connected and highly technical environment continues to evolve. Gifford adds having a “Work environment that is flexible, provides a team atmosphere, and rewards hard work and performance” is the best way to attract members of Gen Z. With the industry set to add 1.6 million new jobs over the next 10 years, Gen Z and millennials will make up the bulk of the new hires. If a restaurant hires a Gen Z employee, what should they do differently? The answer Gifford gave probably applies to everyone looking to grow professionally. But he said, “Offering mentorship and more dynamic training” is key. Forty percent of the respondents also said as much, stating mentors are essential to giving them confidence and the professional skills necessary to advance their careers. The industry is responsible for giving 82% of Gen Z their first paid job, with 73% saying it is a good place to get a first job. As to their long-term aspirations in the industry, 34% said they would like to be owners and operators, 33% said they would like to be bartenders, and 31% said they would like to work in business operations. For those already employed in the industry, 48% of Gen Z workers say having a good manager key for staying after 6 months while 27% say good pay is most important to get them to stick around. These two factors were even more important to women employees, 52% of whom said it would cause them to stay for 6 months while 30% also identified these conditions as important for remaining employed long-term. Close to half or 43% also said the industry offers mostly dead-end jobs, while another 35% see it as a place for people without the skills to work elsewhere. 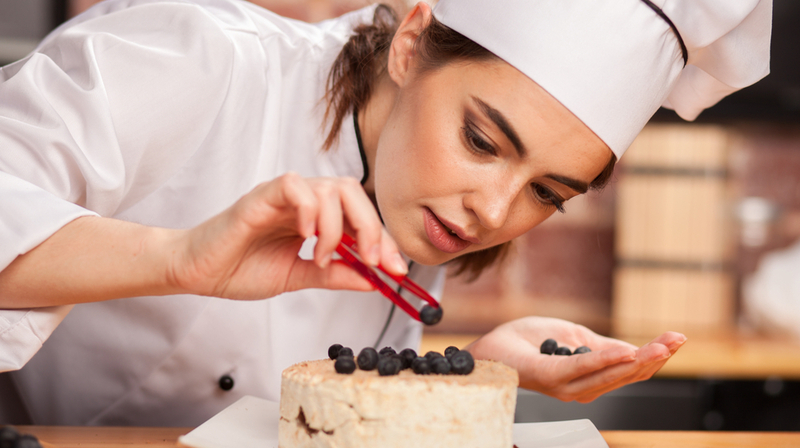 Fighting these perceptions, therefore, is key to attract not only Gen Z employees but anyone else who wants a long-term career in the restaurant or food service industry.